You have been invited to be a part of history and go on the adventure of a lifetime! This world treasure hunt is the biggest adventure social media has seen. An organized treasure hunt of this magnitude has never been done before. With over 10,000 Amazing Marbles and numerous handmade marbles lost around the world for everyone to find and enjoy! Join us for an unforgettable journey on July 23, 2016 and let the world's biggest treasure hunt begin! This World Wide Treasure Hunt is open to everyone as long as they respect the rules that are set forth for the hunts. 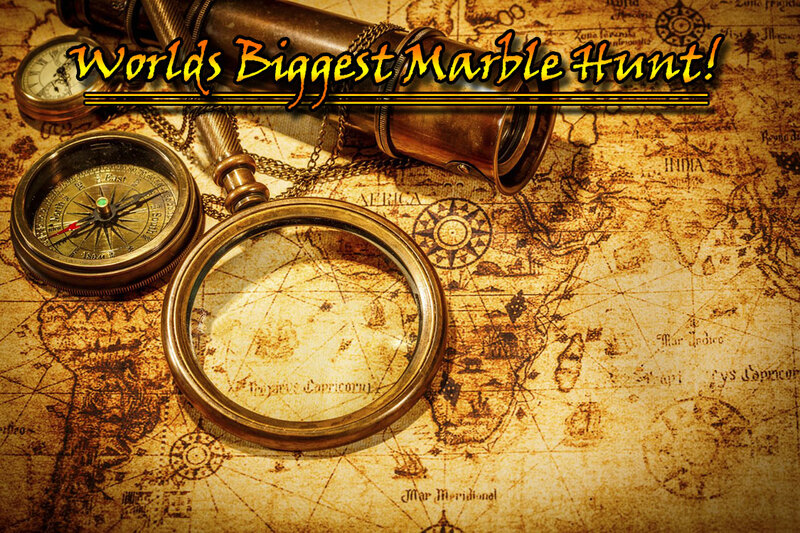 To join the fun all you need to do is join the Facebook group "World's Biggest Marble Hunt" and then on July 23, 2016 pictures and clues for these beautiful marbles will begin being posted for all to start finding. Treasure hunting has been happening since the dawn of mankind. This will be the first time that a world wide treasure hunt has been organized using social media for everybody to join in on globally. People think marbles are old fashioned, no one has time for toys or marbles, just smart phones and social media. Well surprise, let’s use social media to bring marbles back! Everybody likes finding something beautiful especially a contemporary piece of art or a valuable treasure. Just like gemstones and jewels, glass marbles can sell for thousands of dollars. Artists, collectors and adventurers are hiding beautiful handmade glass art all around the world for everyone to find! As a bonus for joining this adventure everyone will get to see the beautiful sights and amazing places the world has to offer all while looking for these special treasures. Marbles used to be one of the top toys in the world and for hundreds of years they have been one of the coolest, unique forms of glass art available. 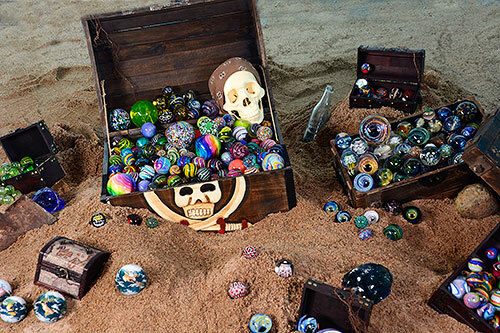 Over the past 60 years’ glass art marbles have become a unique and fast growing collectible. Marbles are now being collected by museums and art/treasure collectors all around the world. We are letting everyone join in on an interactive treasure hunt by using Facebook! Membership is free and open to everyone. The only requirement is that you respect others and follow the rules. Everything that is posted is up for grabs, free treasure for all. We encourage everyone participating to pay it forward and eventually create your own treasure hunt for others to find, posting it in this group for everyone to hunt. This group is dedicated to having fun, promoting marbles and the amazing glass artists from around the world that make them! This summer the grand adventure begins!